The Davids take us to Turkey on a modern day ancient mystery in this episode of Blurry Photos. Dated to be as old as 12,000 years, Gobekli Tepe is a recent major archeological discovery that sets the history books spinning, yet is hardly known to the world. 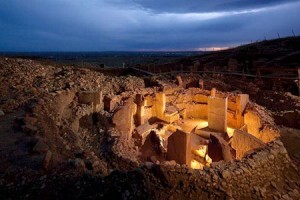 Not much is known about Gobekli Tepe itself, either, and excavations have only scratched the surface. Was it a temple? Was it inhabited? What’s the big mystery all about? Listen as the boys tell what they’ve found out in this episode of Blurry Photos!